Air Intelligence Unit (AIU) officers in India took a woman passenger travelling from Dubai to New Delhi into custody after they retrieved gold bars weighing over two kilograms from her underwear. The AIU said that officers intercepted a lady passenger identified as Farhat Unnisa, a resident of Hyderabad, after she disembarked from a Jet Airways flight from Dubai on Monday night. 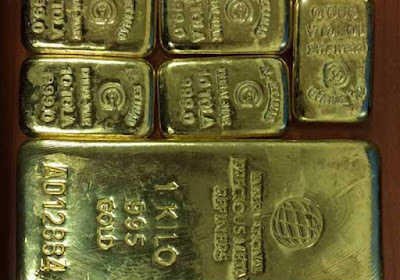 The AIU statement said that on examination of Ms Unnisa, they recovered gold bars weighing two kilograms and 160 grams. They said that the gold bars were concealed in her underwear. The gold bars, valued at Rs. 6,438,960 (£73,000, $96,000) were promptly seized and the passenger was arrested. She has been booked and further investigations are underway.